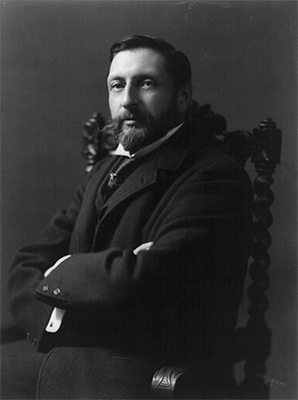 H. Rider Haggard (22 June 1856-14 May 1925) whose birth anniversary we note was a British lawyer and writer whose best known novels are King Solomon's Mines (1885) and She (1887) (1). At the early age of 19 he went to South Africa as a secretary to the Governor of Natal, now KaZulu-Natal. It was a crucial period in South African history. On the edge of Natal, the Zulu tribes had been structured into a kingdom by their charismatic leader Shaka before he was assassinated in 1828. Ten years later, 1838, there was the decisive battle at Blood River between the Zulus and the largely Dutch Boars who, in the Great Treck, were moving north. In Netal, there was the start of indentured labor from India to work on the sugar plantations. There was also the start of British, largely Protestant, missionary activity. Many of the missionaries believed that Africans could best adapt Christianity as part of a larger cultural package which included literacy, European clothing and family patterns. The missionaries of the time were largely hostile to indigenous culture. Haggard was always a reflection of his nationality and social class. He saw the Zulus as "noble savages", the English colonial administration as "enlightened" and the Boars as dangerous racists who would sooner or later - probably sooner - cause trouble. In South Africa, Haggard began a life-long interest in land-holding laws and practices. He wrote administrative studies of land issues in both South Africa and England. He later served on Royal Commissions dealing with land and property laws in England. He received a knighthood for his work on British land law issues. However, it is as a novelist interested in psychic phenomena, reincarnation and dangerous sexual passions that interests readers today, especially She. Freud recommended reading She in his The Interpretation of Dreams calling it " a strange book, full of hidden meanings". C.G. Jung frequently referred to She as one of the most vivid literary representation of the Anima, the eternal feminine aspect within all, both men and women. Haggard's story is filled with images of evolution for spiritual growth, of reincarnation, and the new role of women. Ayesha, a white woman, is queen of a lost civilization in Africa. Haggard was a life-long friend of Rudyard Kipling whose India had somewhat more reality but was also colored by colonial imagination. The psychic aspect of Haggard's writing was found in certain other writers and intellectuals of the period. The sexual aspect was highly sublimated; passion rarely followed by acts, but was there none the less. Haggard's novels have often served as a base for films but are worth reading as books.